Since a friend showed me, I continue to do this new method to do shoulders exercises. I actually sit with dumbbells and it changes a lot. I needed to reduce weights to do exercises properly (I was a little disgusted !). 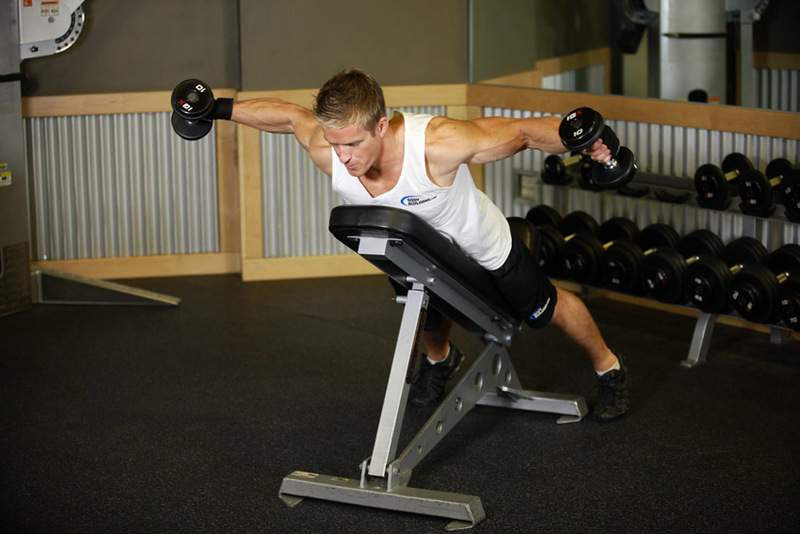 By the standing, legs and back help you to do movements, so that your shoulders work less. When you are seated you feel the difference quickly, you really feel your shoulders burn. 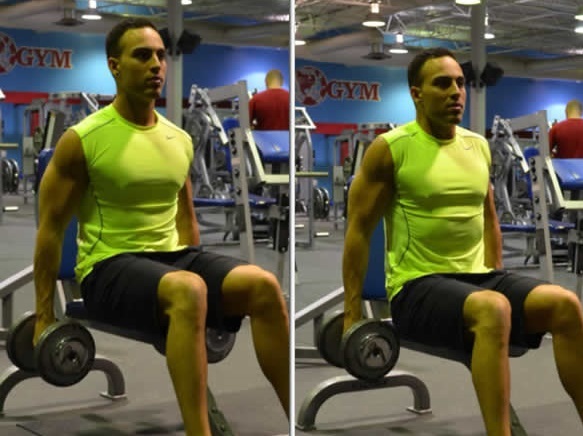 Front shoulders, seated front raise. 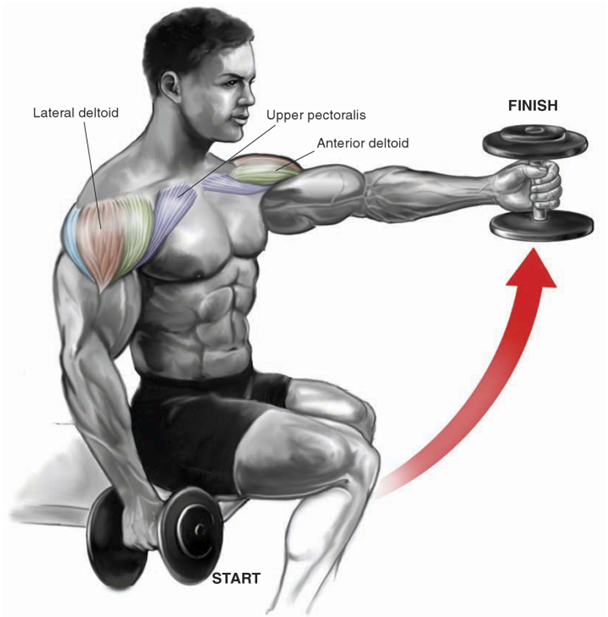 With this combination, you work all deltoids, all shoulder’s muscles and you will have broad shoulders. Try for yourself and tell me how it is.